The historical significance of the Long Grove Covered Bridge is all about the iron, not the wood. It comes as a surprise to most people that our bridge isn’t an “authentic” covered bridge, but rather an iron truss bridge that had a protective covering added in the 1970’s to protect that iron, limit truck traffic, and integrate it into the downtown’s historic theme. The cover is a beautiful copy of a famous covered bridge in Ashuelot, New Hampshire. 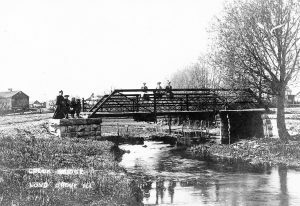 The “irony” is that, while an authentic iron truss bridge wasn’t considered historic in the 1970’s – it is now. Only a couple of these types of truss bridges remain in the Chicago area. And as far as we can determine, none of the couple dozen remaining statewide have such a wickedly awesome pedestrian walkway feature. 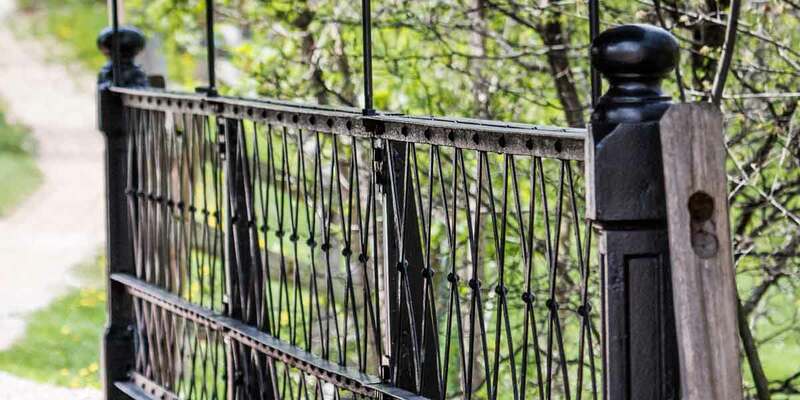 In a quest to perhaps make it appear more historic than it was, Long Grove’s founding father’s actually made it historic by preserving the original ironwork. Brilliant. 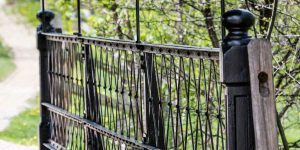 If you’ve never walked across the bridge using the crosswalk attached to the bridge, please do so – the old iron handrail is original from the bridge’s 1906 creation and is gorgeous. Maybe it started its life as a functional necessity, and maybe it was a bit over hyped to fool tourists. Yet it seems to have transcended these historical roles into something of far greater significance –the Queen and protector of the very special place we call downtown Long Grove. Sometimes it’s not about the history past – it’s about history that’s in the making. I think in 50 years, historians will look back and comment – in their quest to save some of their history, Long Grove created something unique that was more significant than what they were trying to save – a quaint historic themed island in a vast ocean of suburbia. If you’re into all the down and dirty details of it’s history, feel free to check out our National Historic Register application.